Candidate must be the Indian citizen . Must satisfy the local/non-local status requirements as laid down in the educational institutions of Telangana. Candidates other than Indian nationals have to satisfy the rules of the University in which he/she want to take admission. 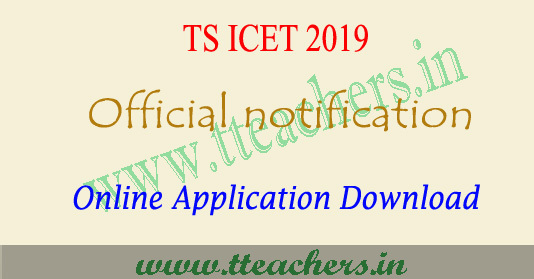 TS ICET-2019 Applications should be submitted through ONLINE mode only. 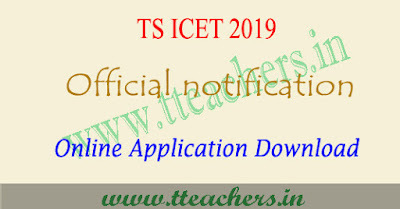 The Registration fee for online submission and late fee, if applicable, may be paid at TS Online Centers/Citizen Service Centers, e - Seva Centers in T.S. and also through payment gateway (Credit Card/Debit Card). The ts icet entrance exam authority will organize the counselling process only for the qualified candidates. Candidates are shortlisted based on the performance in TSICET 2019. The candidates who got good rank have to give web options and appear the counselling for the allotment of seats.